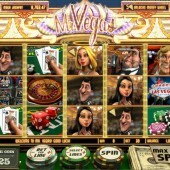 The video slot, Mr. Vegas, from Betsoft is unsurprisingly popular with players. It portrays an image of Vegas which is pretty unachievable too most, with showgirls hanging off your arms and your glass of champagne constantly being topped up, but we can all dream can’t we. The game comes packed with lots of features, which are typically themed around playing other casino games such as roulette, blackjack and the Big Wheel. The main character in the game is Mr Vegas and he play’s his part throughout the game. If you land Mr. Vegas on Reels 1, 3 and 5 at the same time then you will activate the roulette bonus round. 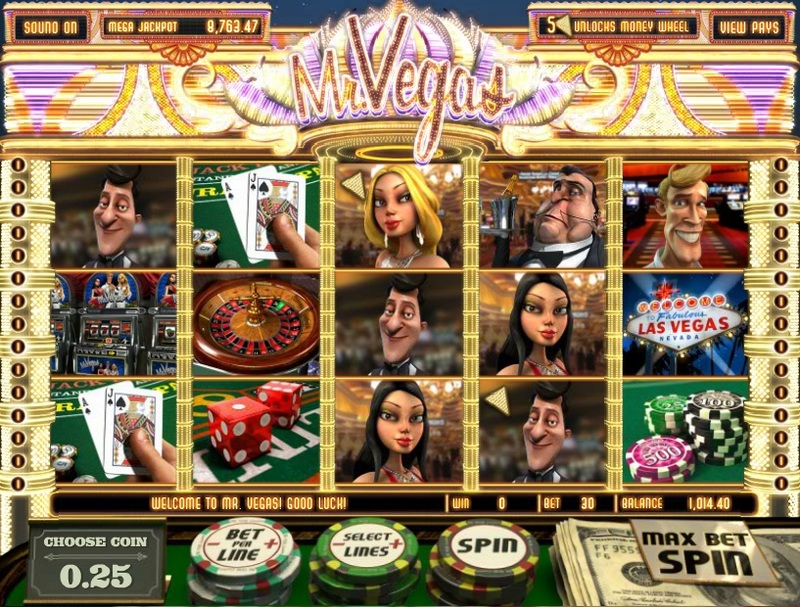 A 3D version of Mr. Vegas then steps up to the roulette table and picks his numbers before the roulette wheel is spun. Don’t worry though, you can’t lose, as his numbers always come in. The money wheel jackpot is triggered by landing any combination of symbols, as long as they have the little slab in the corner of the symbol, which looks like a mini slice of pizza. Get five across all the reels and you will get a chance to spin the wheel and receive a prize. There is a Free Spins bonus, which is triggered by landing the dice symbol on the left or right of the Mr. Vegas symbol on Reels 1, 2 and 3 only. Whatever the total is on the dice will be your number of free spins. All wins are doubled in the free spins bonus round. The other bonus is the minimum slot bonus, activated by seeing three or more one-arm bandits on the reels. You then get a number of spins on a mini slot machine, similar to the feature in Novomatic’s Reel King slot. Mr. Vegas is cheesy, overly bling and a bit fake, but that's what Las Vegas itself is like and what makes it so fun. Mr. Vegas - like Sin City - is an escape from the normality of life, with some nice 3D cartoon effects. There are few slots in the Betsoft collection that have proven as popular, with maybe the exception of the exciting SlotFather game. Dive in and soak up the Vegas atmosphere.